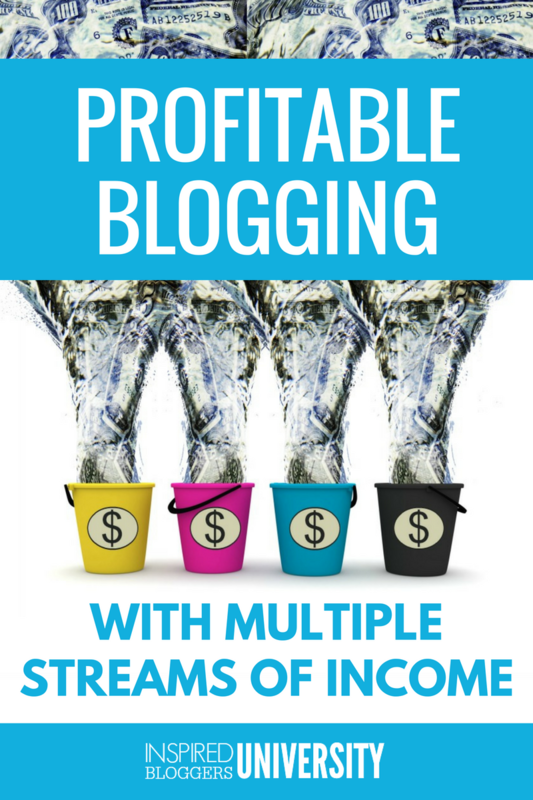 A key factor in a profitable blogging business is establishing multiple streams of income. But not all income streams will be considered passive income. Even so, are you utilizing all of the possibilities? What can you add to your monetization strategy to boost your blogging profits? When I balance my blog income and expense reports each month, I divide my revenue into “income buckets” because it helps me organize the various deposits – or “income streams” – flowing into each bucket. At a glance, I can see the areas where my business is profitable and the areas where I need improvement. Think of my system like a trickling stream that combines with one or more streams to make a river. The river flows to a dam that creates a reservoir, a holding place like a giant bucket. One thing that always stuns me is the number of potential income sources available to bloggers. 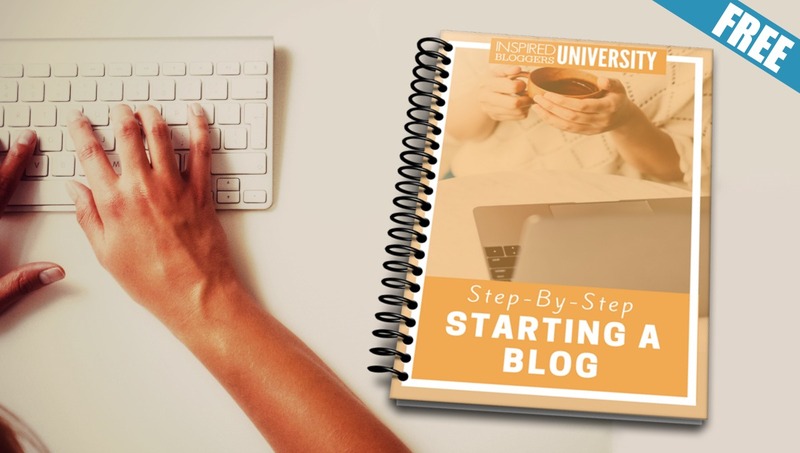 Many bloggers get overwhelmed with an exhaustive list. They glance at it, file it away on the hard drive, and think, “That looks like a lot of work. I will get to it another day.” The reality is… you never look at the list again, and your bank account remains the same. Establishing your income streams earlier (rather than later) is much better for your blog for two reasons: 1) Your readers become adjusted to seeing the advertisements. 2) You start making money (and inching towards a payout) sooner. So, here it is… the list that will either make your profits grow or sit in your hard drive waiting for someday. It’s your decision. Advertising includes any content or banners you place on your website when you are paid per click (PPC), paid per impression (PPM), paid per acquisition (PPA), or a flat rate for displaying the content. When most bloggers think “advertising,” they immediately think of passive income streams including sidebar ads with code embedded from “Adsense.” They place a banner advertisement in the header and a few in the sidebar but are confused when their efforts fail to harness significant income. Where you place your ads is extremely important and can make a difference, but don’t expect your blog to thrive on banner advertising alone. IMPORTANT: Always read the terms before signing a contract with an advertising agency as they may have terms including non-compete, meaning you cannot work with any other advertising company while you are publishing their ads. Of course, you can always approach a company directly about advertising on your blog instead of depending on a third party. 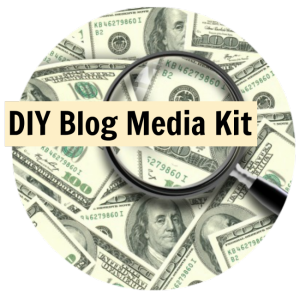 If you are unsure what to charge, I recommend the DIY Media Kit. Also, consider there are many other types of advertising beyond your sidebar, header, or in-post ad placements. One of the most popular types of sponsored content is a sponsored post. You write a create story that weaves the product into your content and/or publish and honest and thorough product review. 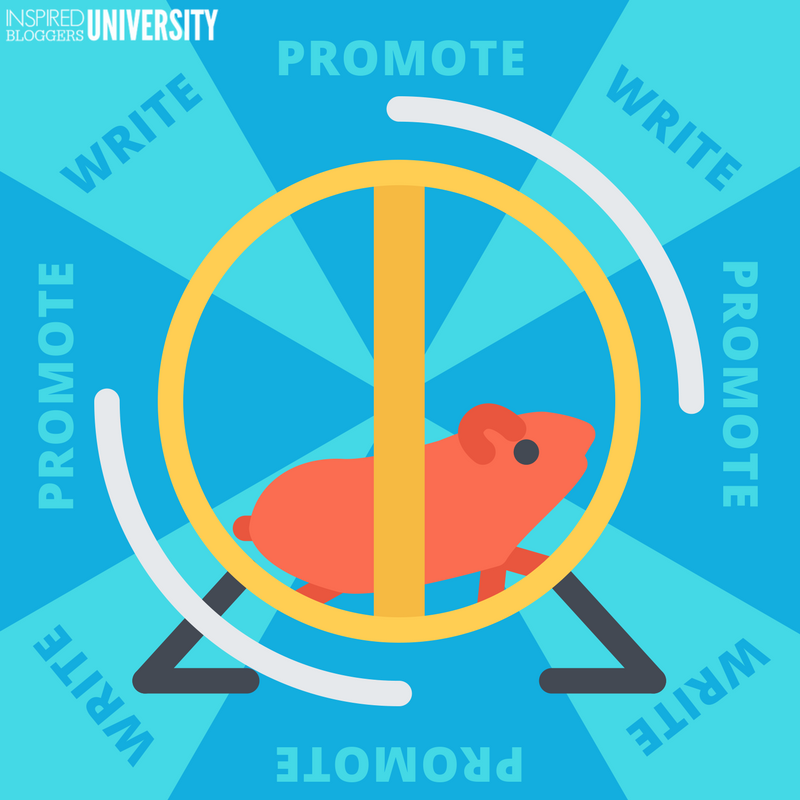 Do not limit the advertising potential of your blog by clinging to traditional advertising. Be creative! Companies are seeking individuals who can represent their products in unique and original ways. Do not stop here! Brainstorm a list of ways you can represent your favorite brands and then contact their marketing team with the idea. What’s the worst thing that could happen? They say, “No?” But they cannot say “YES” unless you ask. 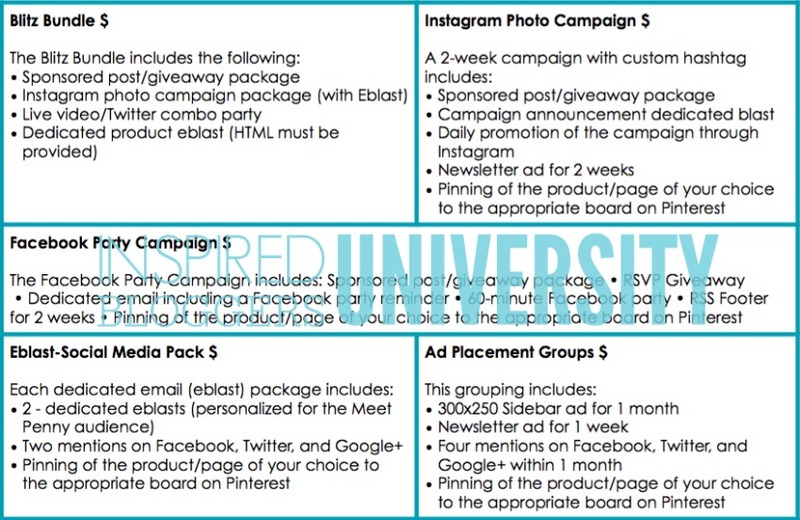 You can also pitch your sponsors with a double-whammy of advertising opportunity by bundling your best sponsorship options into a package. Fill another bucket with income from affiliate marketing. In a nutshell, affiliate marketing is making a commission when someone purchases the product through your unique link. Amazon Affiliates is one of the easiest places to find products that match your content and reader’s needs because of the volume and diversity of products available. However, Amazon has restrictions against bloggers in some locations due to state nexus laws. Several companies serve as a host for affiliate offers. I think of these websites as an affiliate marketing mall. You can browse the products and brands, only selecting those that fit your messaging. 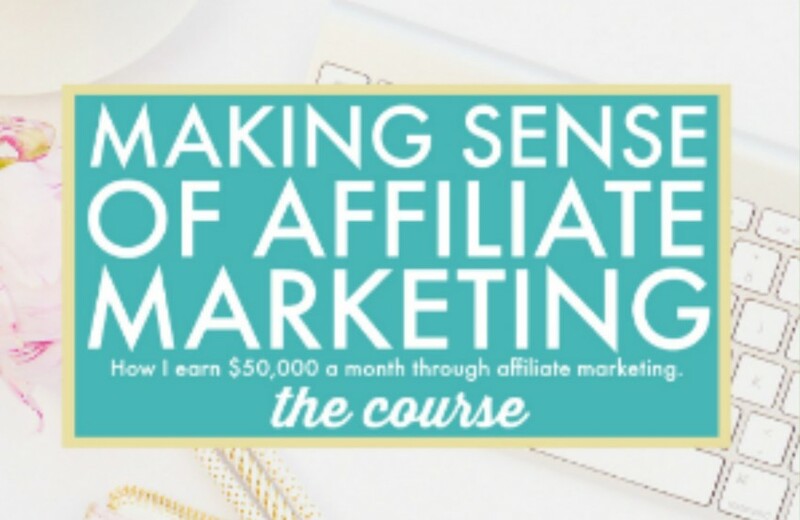 Another option is to connect with other bloggers and brands who have an affiliate program. Working directly with the person who created and/or markets the product often yields a higher commission rate. One of the best ways to control your blogging income is by creating your own products. You choose everything about how the product will be marketed, what you will charge, etc. Of course, by selling your own products, you must choose a way to deliver your products and deal with customer service issues but these will factor into the price of your product. Choosing the type of product you create depends on the needs of your audience and your abilities to produce and distribute the product. The easiest products to deliver are digital products. Using a WordPress e-Commerce plugin like WP eStore makes it possible to email digital files directly to your customers. Anything that can be hosted on a website or sent via email is a digital product and can boost your income stream. Beyond digital products, you can also create tangible goods to provide your readers with problem-solving products that meet their needs. I know bloggers who sell everything from linens to t-shirts, from kitchenware to jewelry. With physical products, you can choose to manufacture your own or promote products as an independent consultant for a direct sales company. If you can create your product within your home and choose not to house a shop on your website, you can create a store with Etsy and immediately access a large established audience. For products that need more specific or detailed manufacturing, consider browsing the manufacturing companies available through Alibaba. You can also consider having your products manufactured and then creating a seller account with Fulfillment by Amazon. If you have your heart set on publishing a book, film, or music, do not wait for a company to call you! Self-publishing becomes easier each year. Check out CreateSpace with self-publishing available to authors, filmmakers, and musicians. Customized menus, fitness routines, etc. Some bloggers host local events and conferences. While events can require teamwork, they can also be very lucrative. Looking at this huge list can strike anxiety into the heart of even the most driven entrepreneur. Just keep these tips in mind. Do not assume that you need to start filling each income bucket this week. Choose one type of income and one option for channeling revenue into that bucket. Once you have mastered one stream of income, then add another. As you feel comfortable with the amount of revenue pouring through those streams into an income bucket, create a new bucket. By knowing from where your income originates, you can easily see which areas need a strategic evaluation. Subscribe and receive the spreadsheet I use for tracking my blogging income. If something isn’t working, try something different. Or, maybe you are trying too hard and need to take a step back to evaluate what is going wrong. Blogging for profit should not be a chore. You need to love what you do first. Then, identify ways that you can solve your audience’s problems while building your income buckets. As you practice sincere and honest monetization strategies, your income will grow month after month. What is your best income stream? When you look at your income, which income stream performs the best? Is something missing from this list? Please leave a comment and share your best monetization strategies. Tabitha! This is amazing! This is a great list of ways to monetize! Thank you for sharing this! Wow – you gave me a lot to think about! Thanks for sharing! Developing educational Apps and targeting them to the homeschool market that I already write for has been the first income I have actually made. Small start!